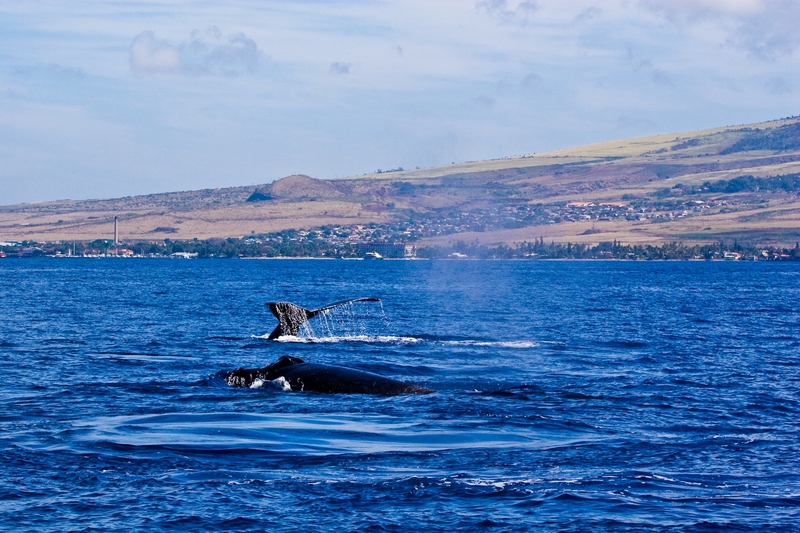 Did El Nino Scare Off Hawaii’s Humpback Whales? No doubt about it — Hawaii saw fewer humpback whales this season than in recent seasons-past. And, El Nino may be to blame! According to the Honolulu Star Advertiser, as many as 25 percent or more of the humpback whales that usually make the annual winter trek from Alaska may have canceled their Hawaii travel plans this year. “It is so different out there,” acknowledged Ed Lyman, the sanctuary’s Maui-based large whale entanglement response coordinator to the newspaper. The whale watching season got-off to a late start with many whales not arriving until December, and that led into a relatively lackluster season overall, with ocean tour companies, researchers and scientists reporting appreciably fewer sightings. In fact, three ocean counts in January, February and March — conducted with the help of citizen volunteers recorded some of the lowest sighting numbers in five years, Lyman told the Honolulu Star Bulletin. And, that trend was echoed around the islands. On March 27, Pacific Whale Foundation volunteers counted 732 humpback whales at 12 locations along the west coast of Maui during the nonprofit’s Great Whale Count. That number was less than half of last year’s total of 1,488. Fewer whales this past season meant many whale watching companies had to try harder to find them. Still, many companies said they were, indeed, able to find whales. And Lyman says there were only five confirmed entanglements compared to 13 last year and 13 the year before, Lyman said, while there were only two reports of a whale colliding with a boat. “A few years ago there were 12 or 13 incidents, and people were starting to get concerned,” he told the paper. But Lyman and other scientists told the Star Advertriser they aren’t too worried. They say fewer sightings of Hawaii’s humpback whales could be linked to the warmer waters of El Nino and the disruption of feeding patterns, causing some whales to stay put this winter or to travel to other areas for the season. Or it could even be a reflection of the success of the species’ recovery. A growing number of humpbacks may be competing for the same amount of food, Lyman said, causing some to linger in their summer feeding grounds to build up the energy reserves necessary for migration later. There are indeed reports that more whales were seen off Alaska this winter, some researchers said. Veteran whale researcher Adam Pack, an associate professor at the University of Hawaii at Hilo, said that well into January and early February there were far fewer whales off Hilo than in previous years. One possibility, he said, is that the extreme El Nino in the North Pacific led to lower productivity on the feeding grounds, resulting in the whales remaining longer in Alaska and other feeding grounds along the northern Pacific rim. It is also possible that this season more whales than usual have overwintered in the feeding grounds, he said. Researchers say the reason for fewer whales may be that they're overfeeding in Alaska due to El Nino. For those who make a business out of whale watching, the decline could have an impact. Fewer whales typically means harder work for many whale watching tour companies. 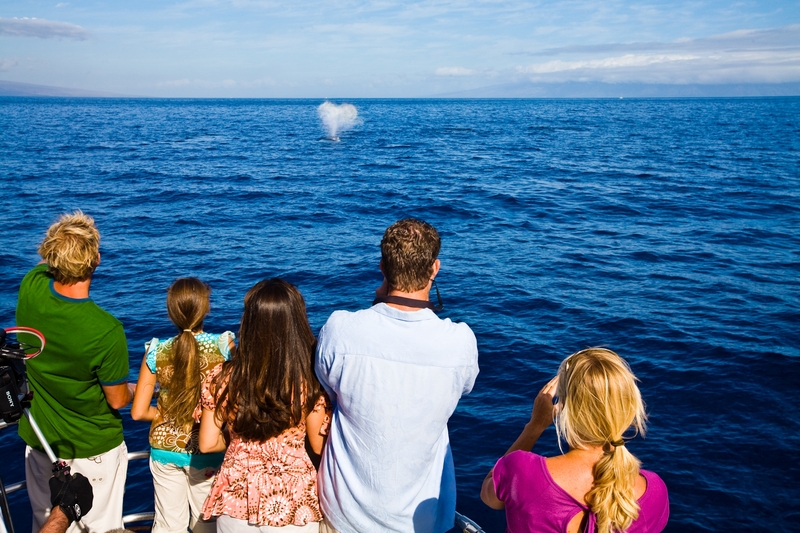 “There’s hardly any (whales) now compared to previous years,” Maehkyne Mason, manager of Maui Adventure Cruises, which runs whale watching tours out of Lahaina, told the paper. Mason said that while her tours don’t have trouble encountering whales, they often have to travel farther to see them. Talk on the street about fewer whales has led to the company taking a hit in the bottom line, she said. “When tourists ask (hotel) concierges if there are any whales to see, they are saying it’s not great,” she said, which leads some to search for other activities. Interestingly enough, fewer whales in Hawaii doesn’t mean there are fewer humpback whales in general. In fact, according to researchers, it’s exactly the opposite. Hawaii’s population of humpback whales, according to many scientists, has been growing steadily in recent years. The humpbacks have been doing so well, in fact, that the National Oceanic and Atmospheric Administration is moving to delist the North Pacific population from the Endangered Species List. Still, scientists want to find out exactly how many of Hawaii’s humpback whales were missing this past season. So, the Star Advertiser reports that the Hawaiian Islands Humpback Whale National Marine Sanctuary has decided to push for an updated population study that will include a scientific evaluation of the numbers.